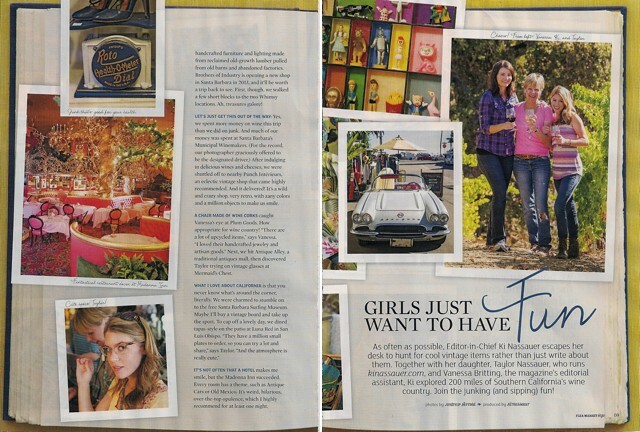 Flea Market Style Visits the Central Coast! Ring ring, "Hello, this is Flea Market Style Magazine and we are road tripping from L.A. to Paso and photographing must-visit places on the way for a feature in our next issue. Would you be interested?" 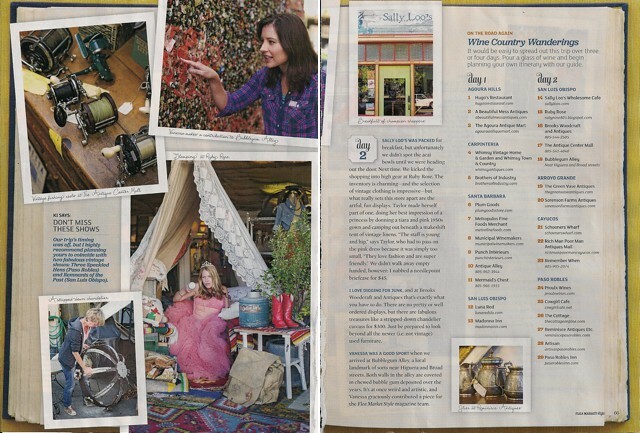 We were so thrilled to be included in the road trip adventure that this crew produced and we're so happy to see so many of our favorite places in the article as well. It is great company to be in! 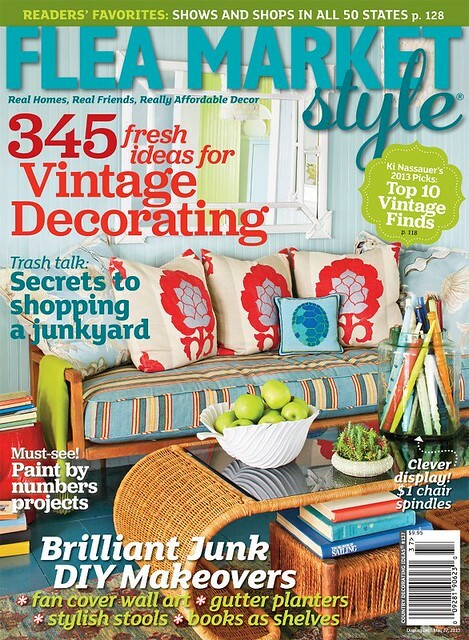 Enjoy and pick up a copy of the magazine to read more on junking and decorating.